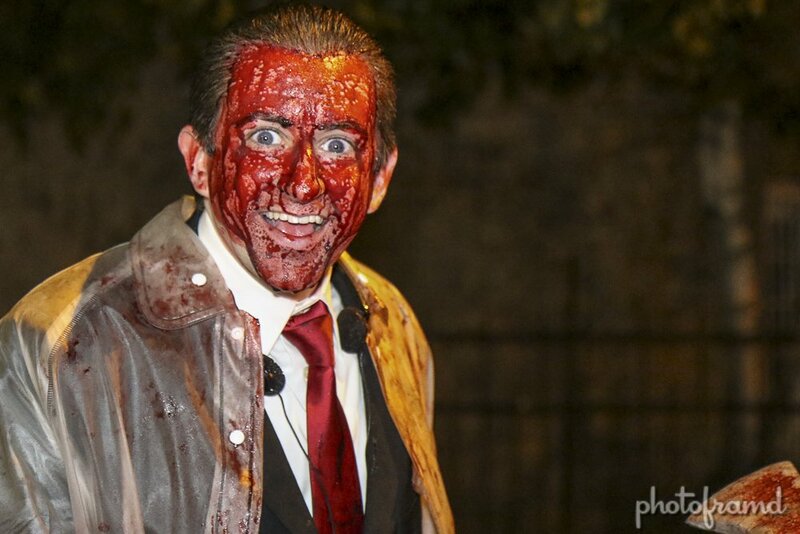 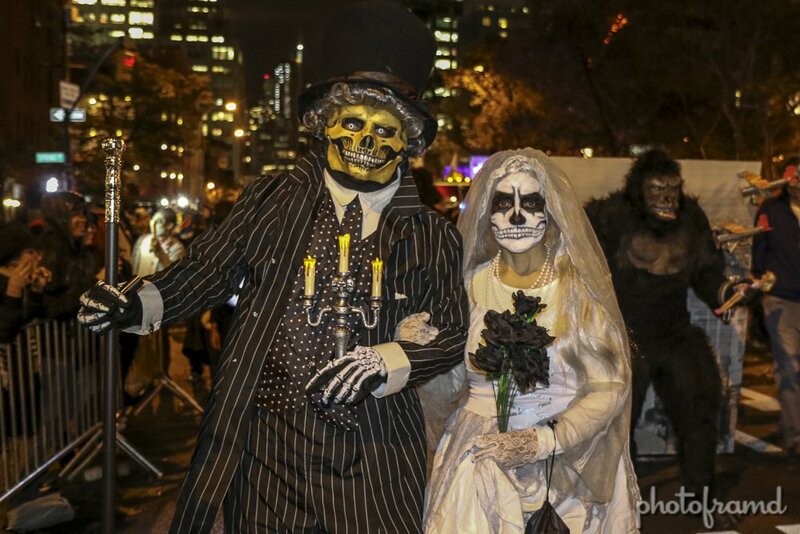 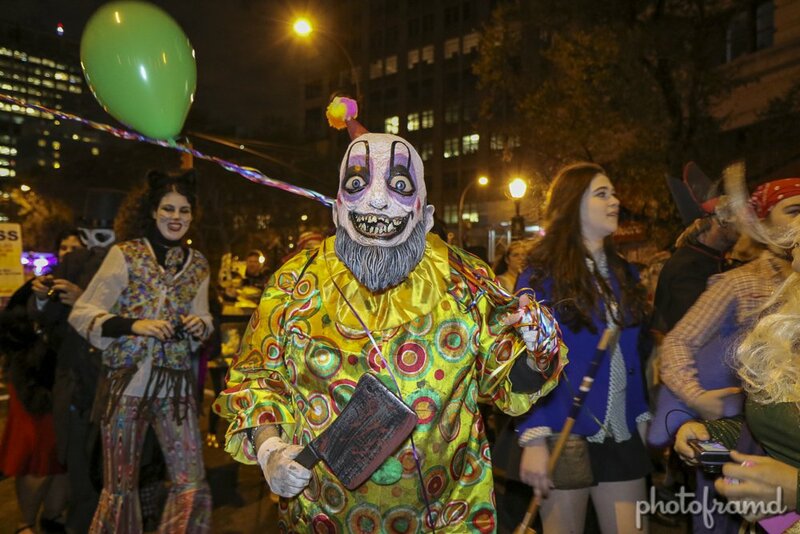 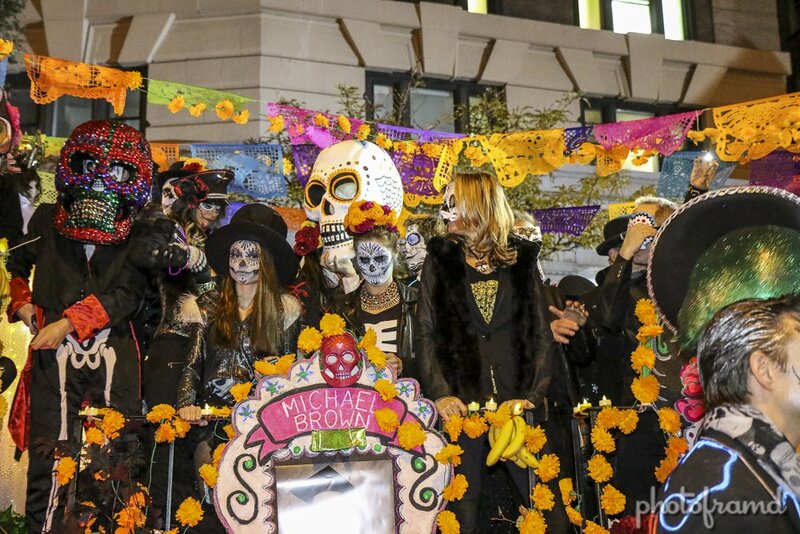 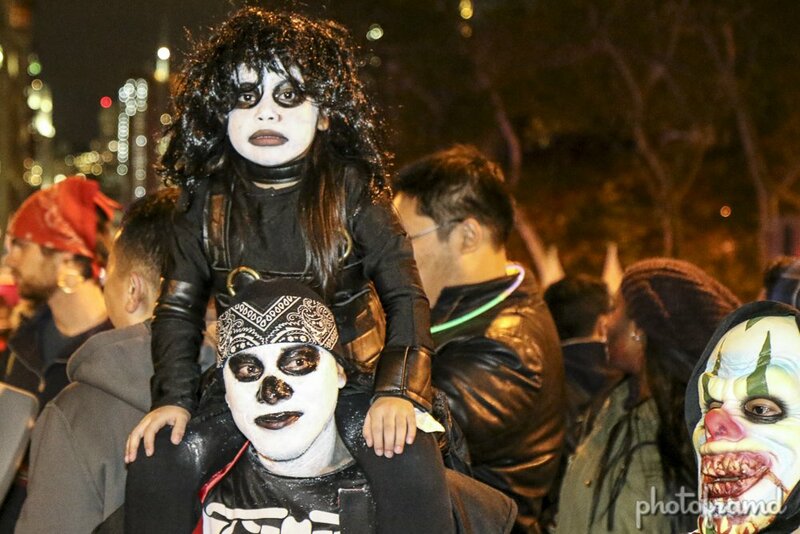 The New York City’s Village Halloween Parade celebrated its 41th year on Friday. 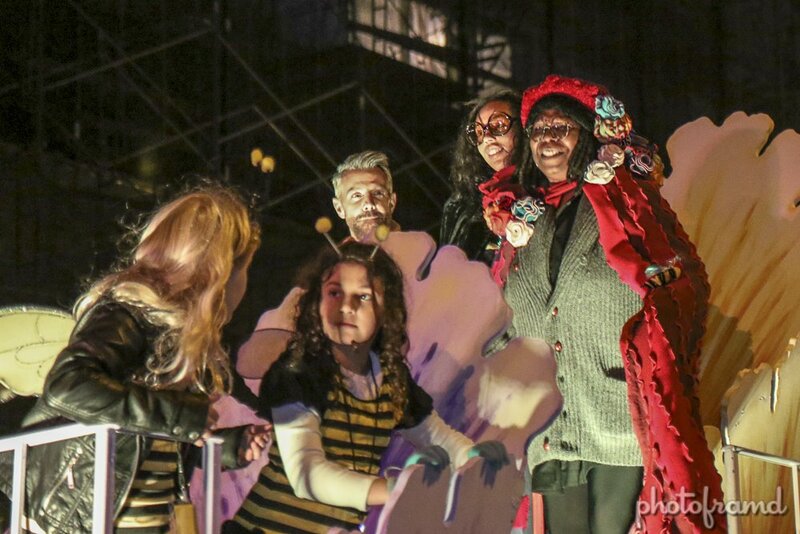 A little drizzle could not stop this crowd with Whoopi Goldberg as Celebrity Host! 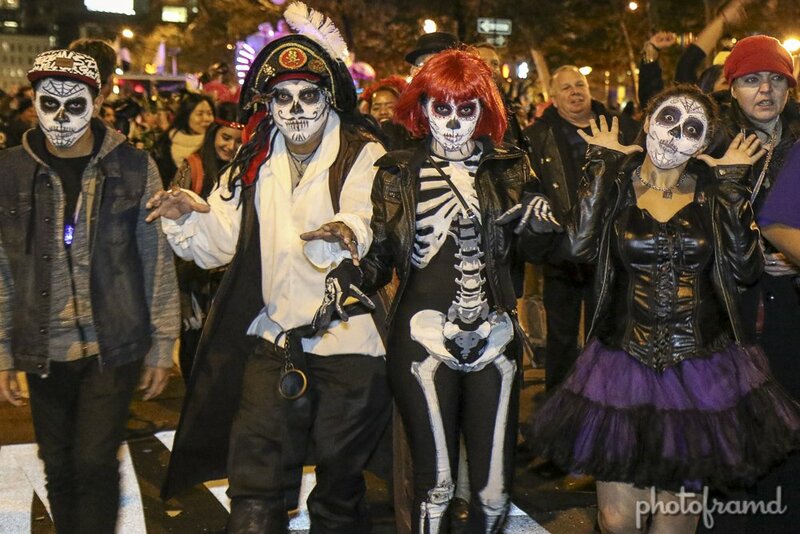 The crowd favorites of giant skeletons, Thiller zombies and the puppet crew also returned. 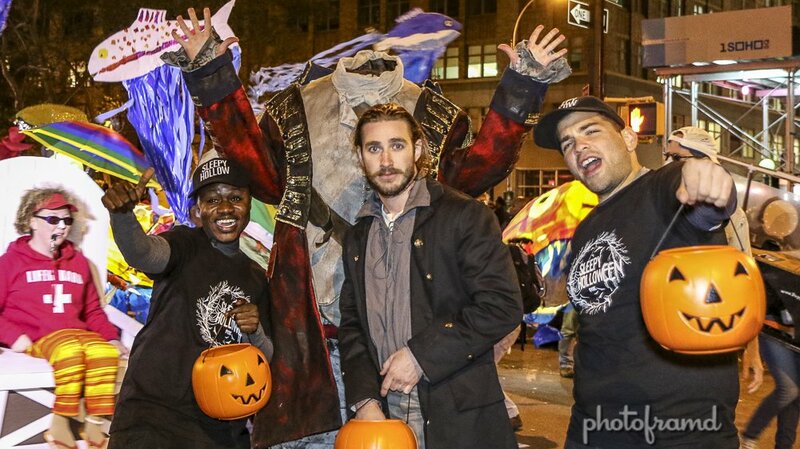 New costumes like Sleepy Hollow, Maleficent and American Horror Story made their debut. 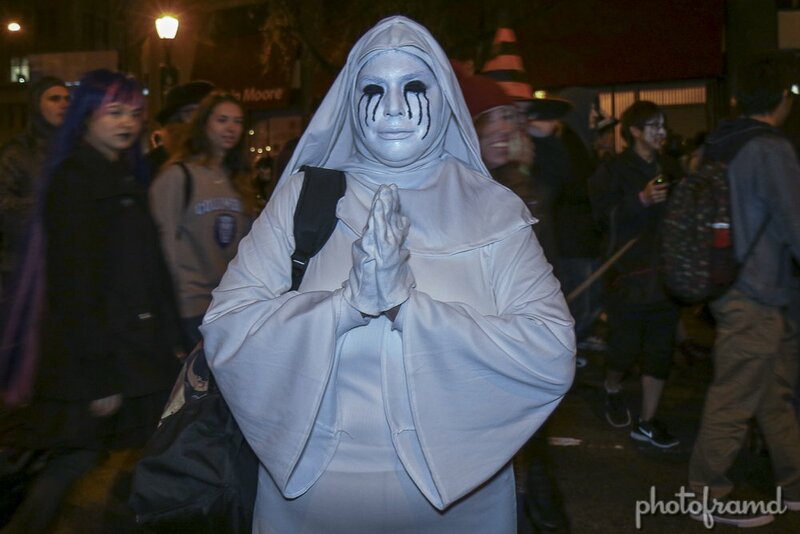 Surprisingly, I did not see any Frozen character. 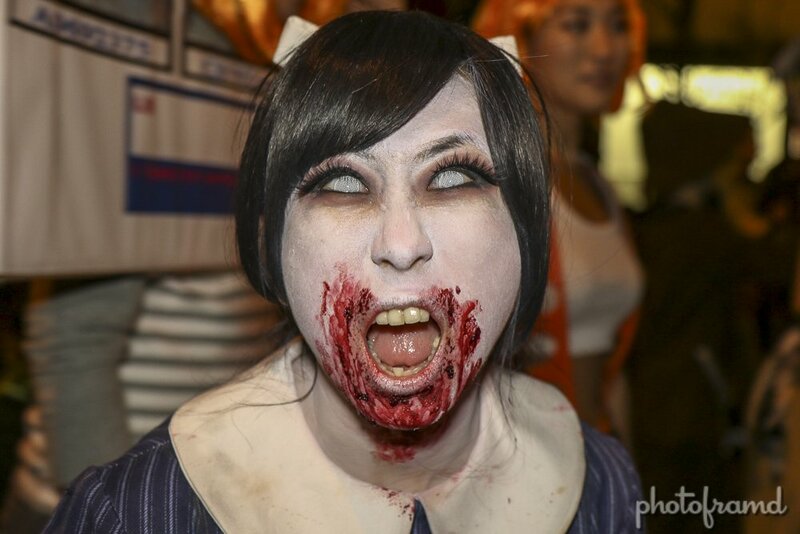 All of these photos were shot with the new Canon 7D Mark II. 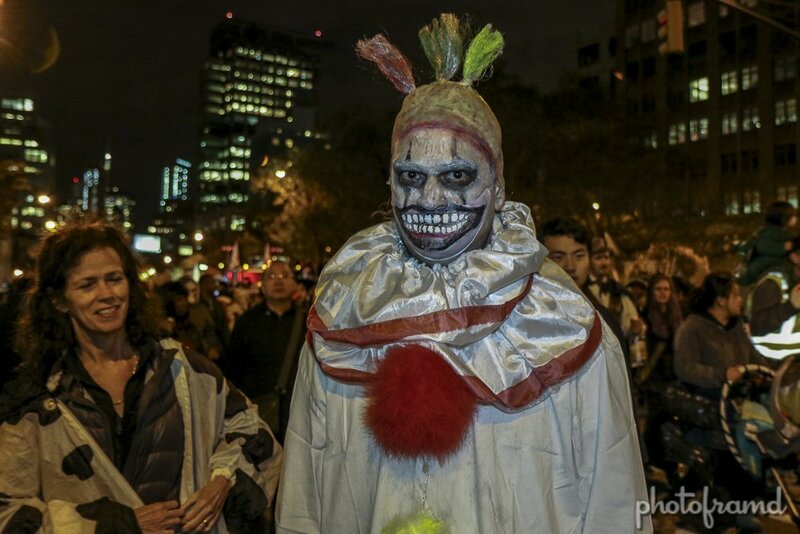 Many of these photos were shot at 2000ISO or 5000ISO as JPGs since Lightroom does not currently support Canon 7D Mark II RAW files.